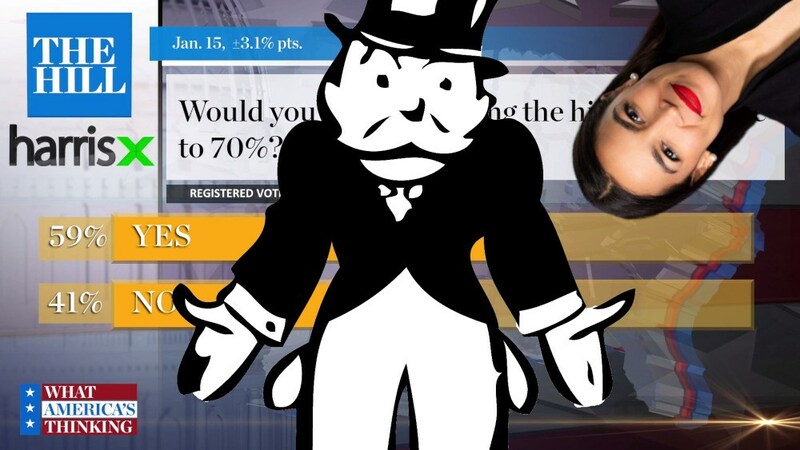 Just as the purpose of a tobacco tax is not to pay for cancer treatment, the purpose of Alexandria Ocasio-Cortez's wildly popular proposal to tax income over $10m at 70% is to correct inequality and reduce the corrosive power of extreme wealth to distort political decisionmaking, not to fund programs. As Vanessa Williamson writes on Common Dreams, a 70% wealth tax "blunt[s] the incentives for wealthy people to overpay one another and exploit the less privileged." A hypothetical example explains the mechanism. Imagine if you are a CEO, already making enough to be in the top income tax bracket. If the marginal tax rate in that bracket is 70 percent, any increase you get in pay is going to cost your company a little over three times what you’ll actually take home. The rest will go to Uncle Sam. No wonder company boards become more discerning in approving executive pay increases. High tax rates make it a lot more costly for wealthy people to fling money at one another for no reason. This has an implication for public budgets; to the extent that individuals’ fortunes are reduced from the obscene to the merely very large, top marginal tax rates collect less revenue. It would be an error, then, to use revenue as the sole justification for progressive taxation. This is not to say that Democrats are making a strategic mistake in pairing, rhetorically or even legislatively, big spending programs with progressive taxes. Both proposals are popular, after all.